Builders risk insurance, offered through Zurich, is a form of property insurance that covers the completion of a construction project from start to finish. While at the job site, things can go wrong such as fires, vandalism, windstorm, theft of materials, etc., all of which can disrupt the project's timetable and increase costs. Builders Risk provides the protection you need if any of these unwelcome events should happen. Large, or small, residential or commercial, builders risk insurance is essential in protecting your project and your company. Because of the significant cost of construction projects, most commercial lenders require proof of builders risk insurance before they will approve a loan. Most projects involve considerable financial risk. Knowing a serious loss could occur at any time is cause for a lot of stress. What is peace of mind worth to you? That's the chief benefit. Not only that, but the coverage amount increases as the project nears completion, so you maintain adequate coverage. Optional flood and earthquake coverages are also available in most areas. 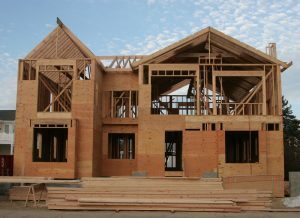 Other usually available benefits come from additional coverage for expenses not directly related to the building phase. These include additional interest expenses, leasing and marketing costs, legal and accounting expenses to name several. Like any form of insurance, builders risk's main object is to make you whole again after a loss. The RWC Insurance Advantage considers a number of factors when offering a quote: location and size of the project, materials to be covered and jobsite security to name the most important. Once underwritten, a quote can usually be offered the same day. Builders risk does not cover losses before the start of a construction project, or after its completion. It does not cover your tools, or equipment, which can be insured separately under contractors equipment coverage. Some states require builders risk to be in place before you start construction.